Welcome to the third edition of our magazine! This edition is full of many examples of the extraordinary caring and work happening across our sites. You’ll read how discharged patients at risk of readmission now have enhanced access to services in the community and medical expertise, thanks to a new partnership and model of care designed to reduce unnecessary trips to the hospital. 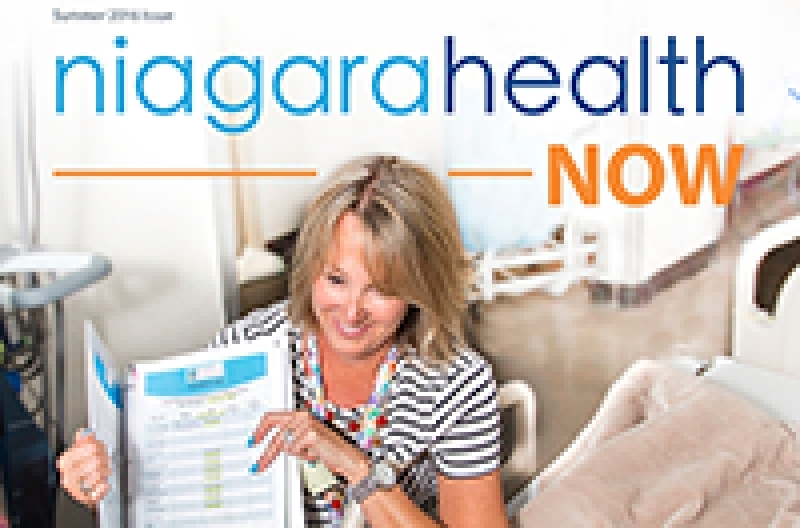 You’ll learn about the important work happening in our Research Lead Office, which has created a unique coaching program to guide healthcare trainees and professionals at Niagara Health through collaborative, quality-focused and patient-centred research projects. And you’ll read the compelling story of a client of our Niagara Eating Disorder Outpatient Program, and the difference the multi-disciplinary team of healthcare providers is making in her life. And, of course, there’s much more inside. I hope you enjoy this issue of Niagara Health Now. The celebratory magazine, produced by our Corporate Communications team, is available for free at various locations at each of our sites and it can also be read online here.